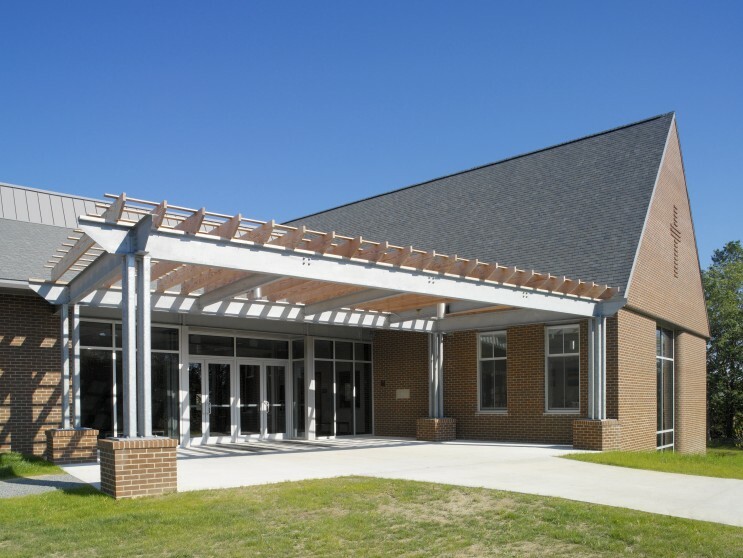 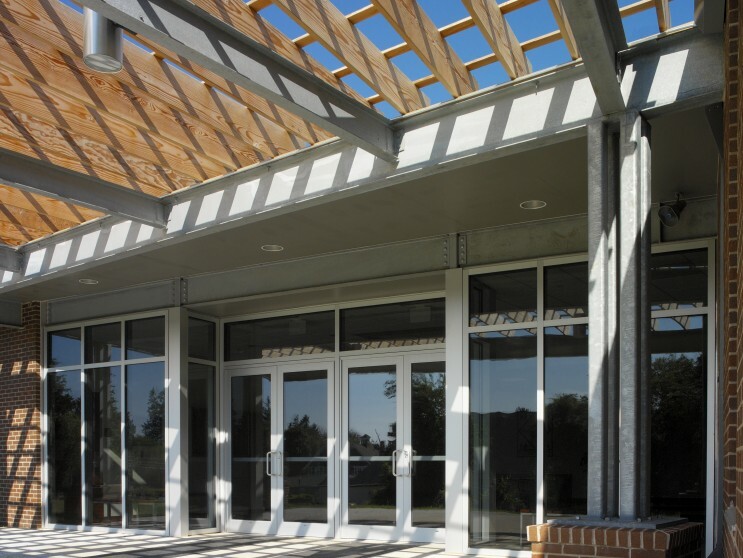 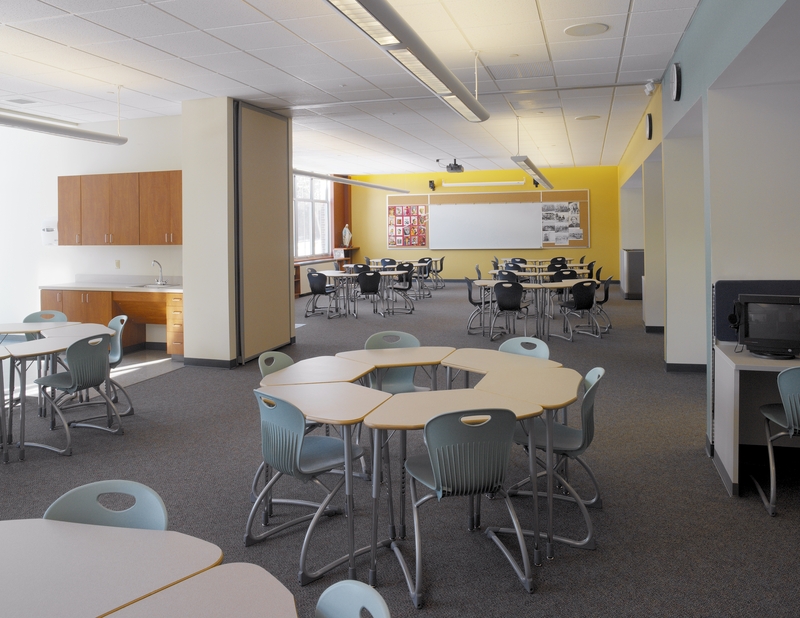 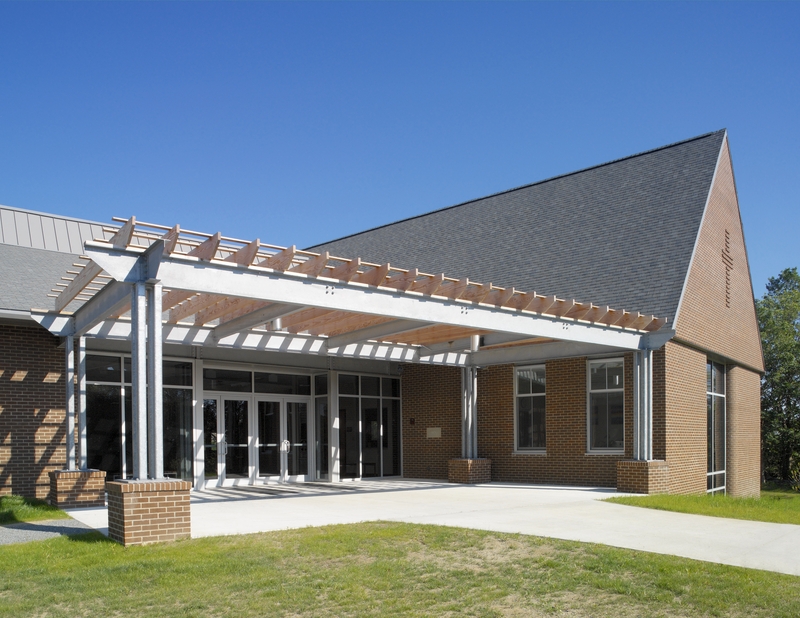 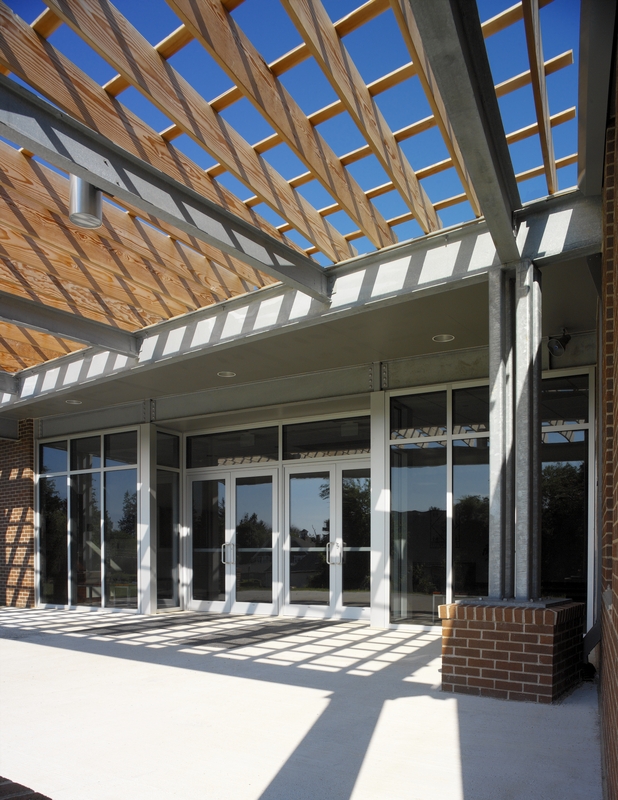 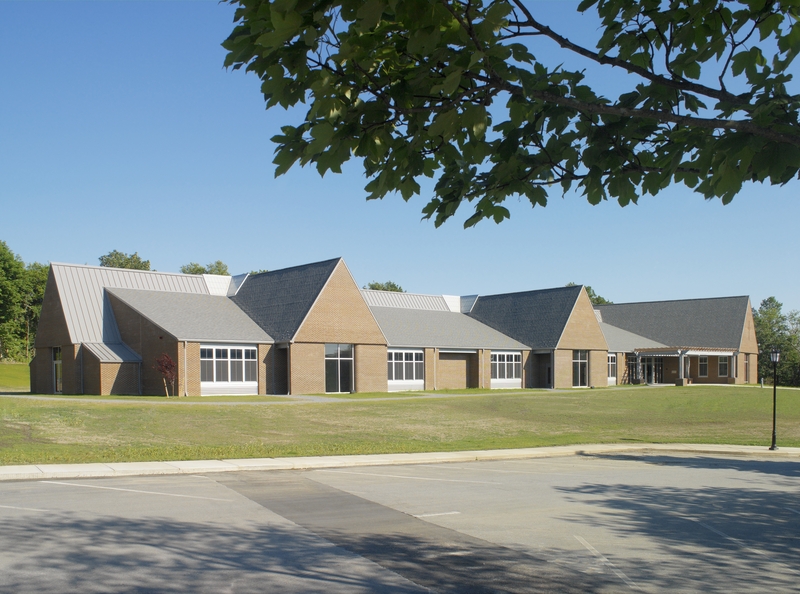 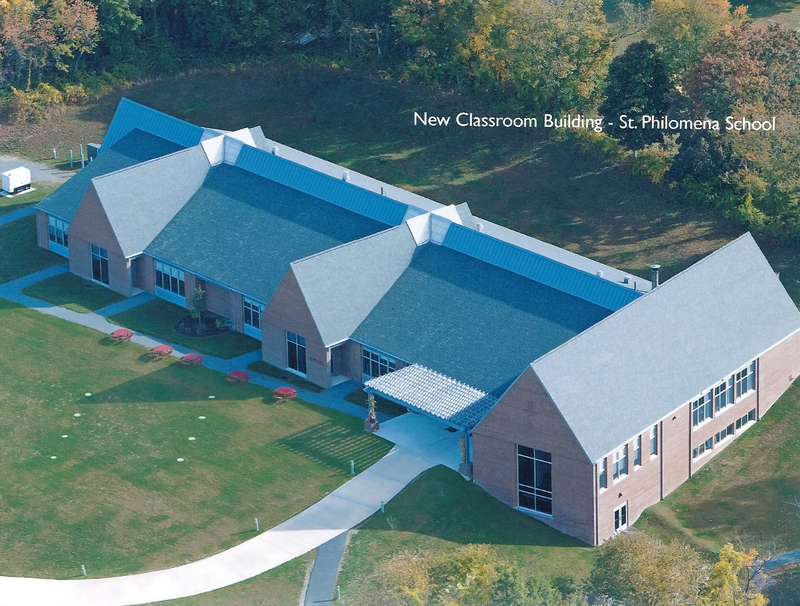 NCA created master plans and designed a new middle school utilizing environmentally-con­scious and energy-saving features. The design complements existing buildings and features class­room clusters, common areas, administration areas, library and multi-pur­pose room. 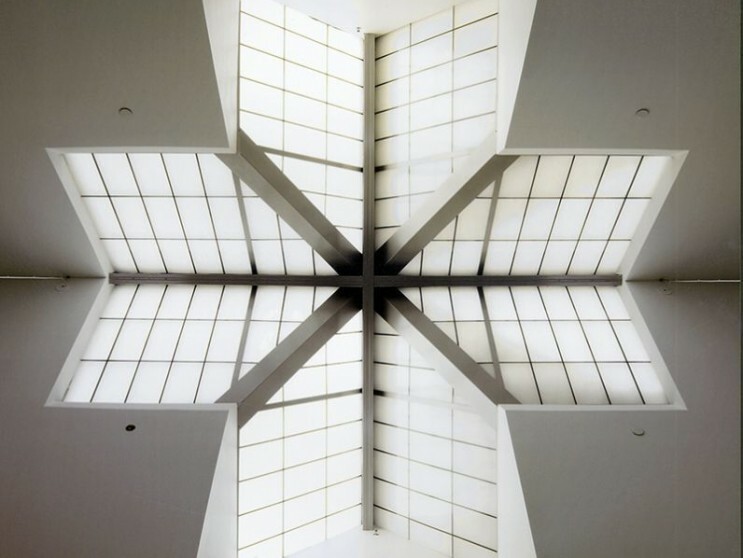 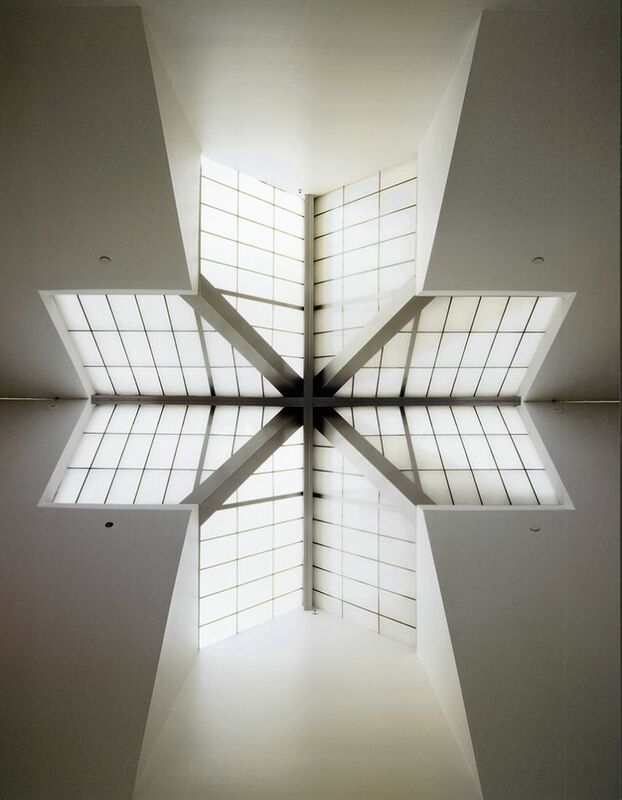 A pair of cruciform skylights infuses the central corridor with and creates an inviting learning environment. 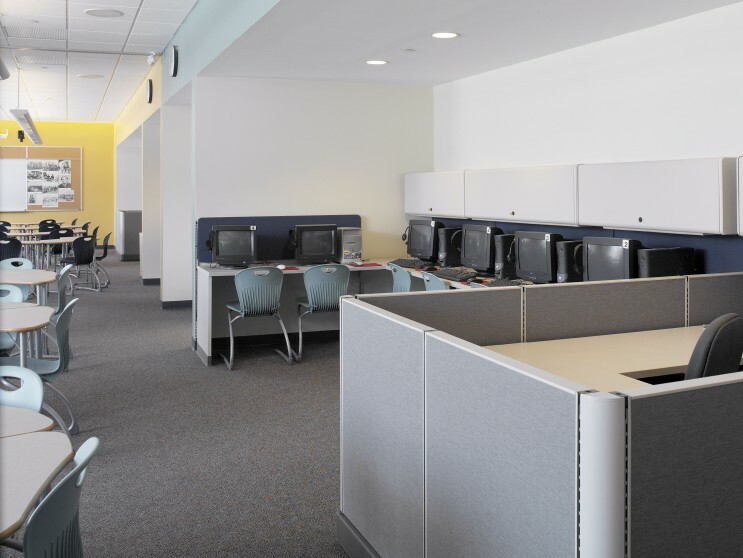 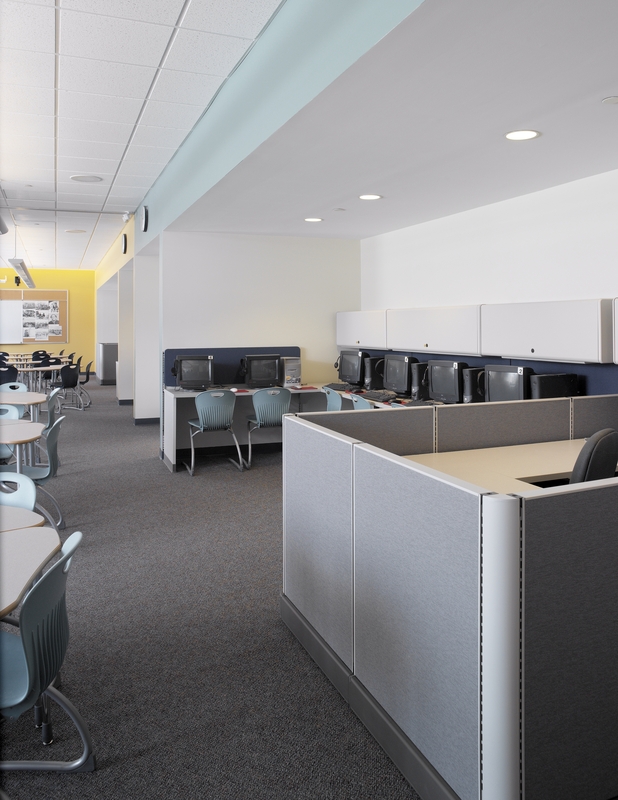 Seating niches among the lockers provide places for students to socialize.